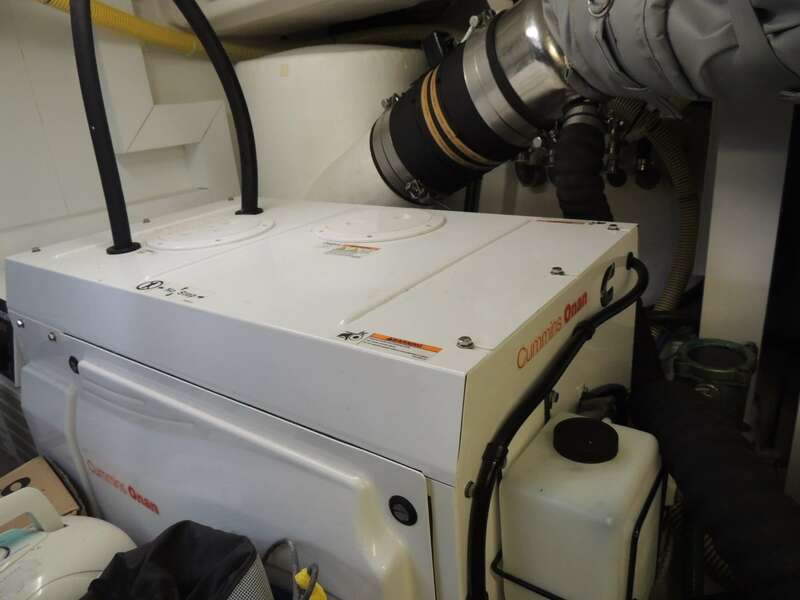 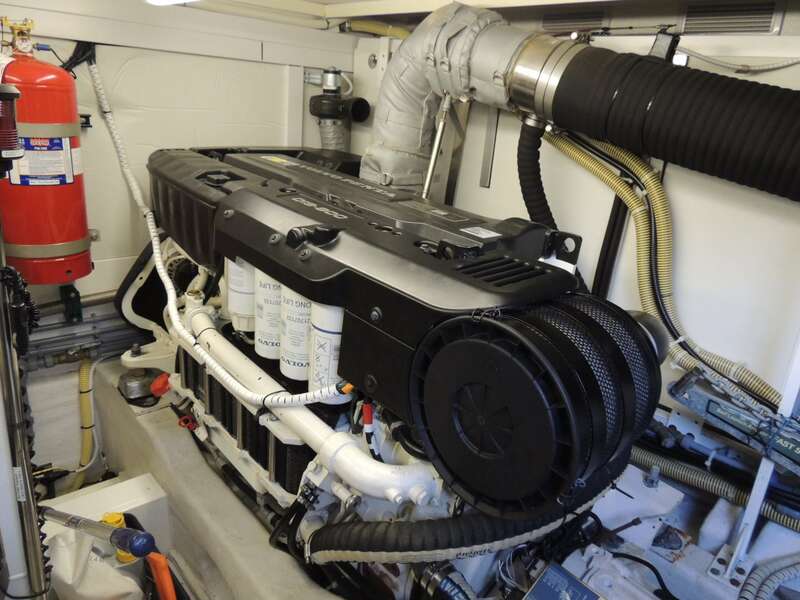 2011 Fairline Squadron 58 fitted with twin Volvo Penta D13 800s engines with approx. 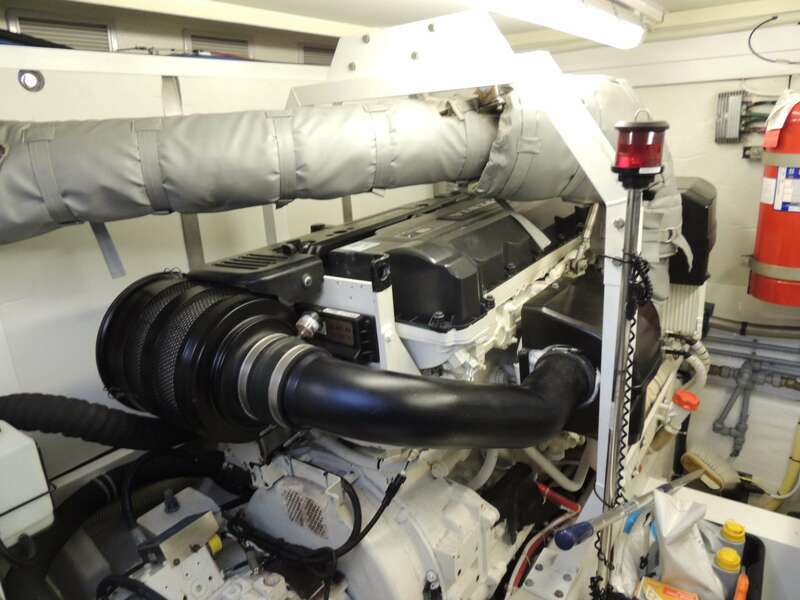 950 engine hours. 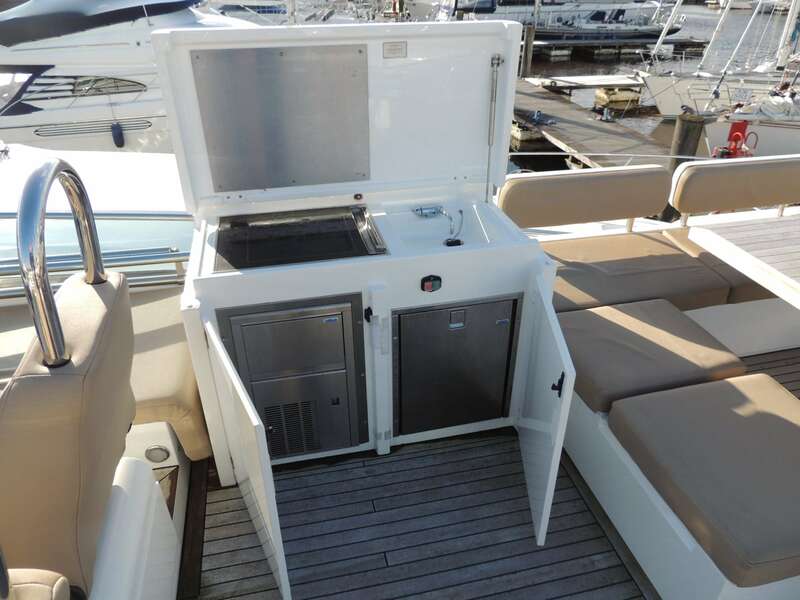 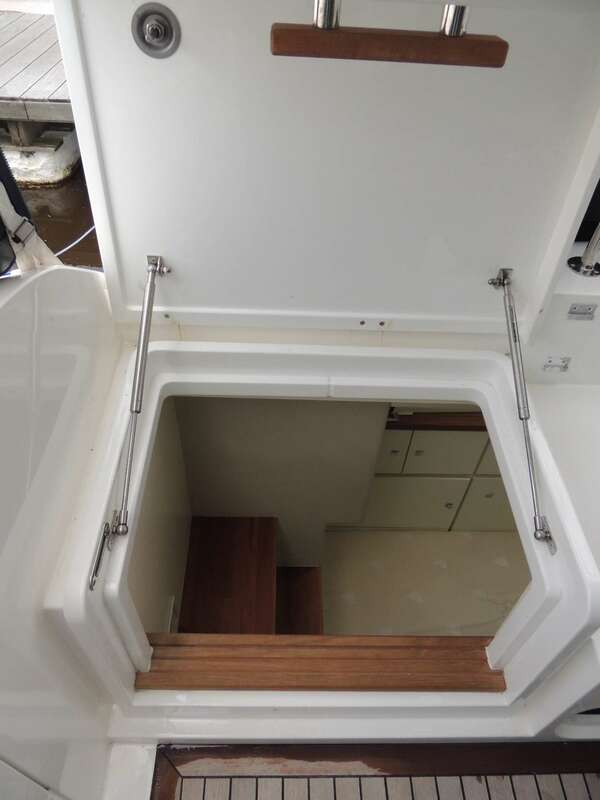 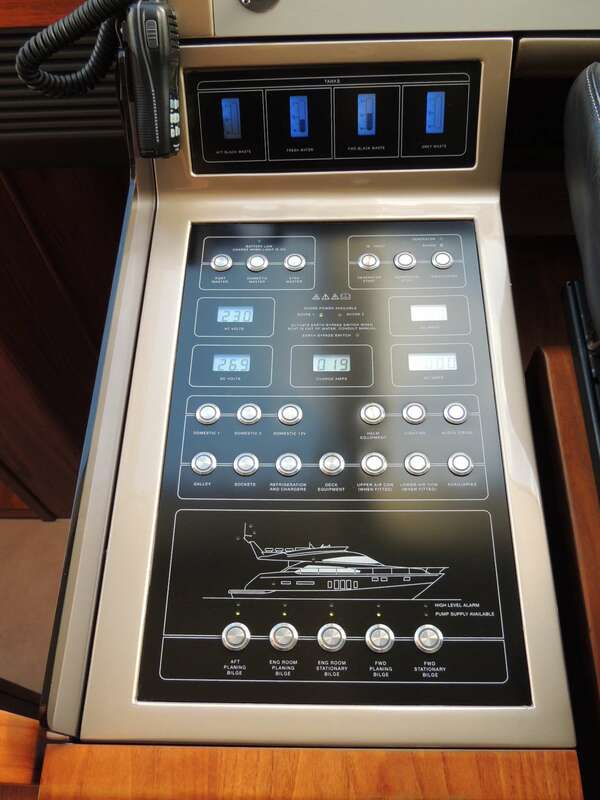 Factory fitted upgrades: Teak cockpit table, digital safe to master cabin, dishwasher to galley, feezer to galley, blue exterior mood & sidedeck lights, teak table to flybridge, 40" B&O powerlift TV cinerma system to saloon, aft cabin fitout, washerdryer to aft cabin, twin Garmin 5012 GPSmap 12" touchscreen displays to lower and upper helms, airconditioning, side access door to lower helm, teak laid flybridge and sidedecks, icemaker to flybridge, sternthruster, aft reversing camera, cabin AV upgrade package, sunbed coachroof cushions, timber venetian blind upgrade to all cabins, velvet mink carpet, cabin bedheads in Graphite Silex, Bimini - navy blue, satellite TV, 3 saloon stools, white mood lighting below saloon seating. 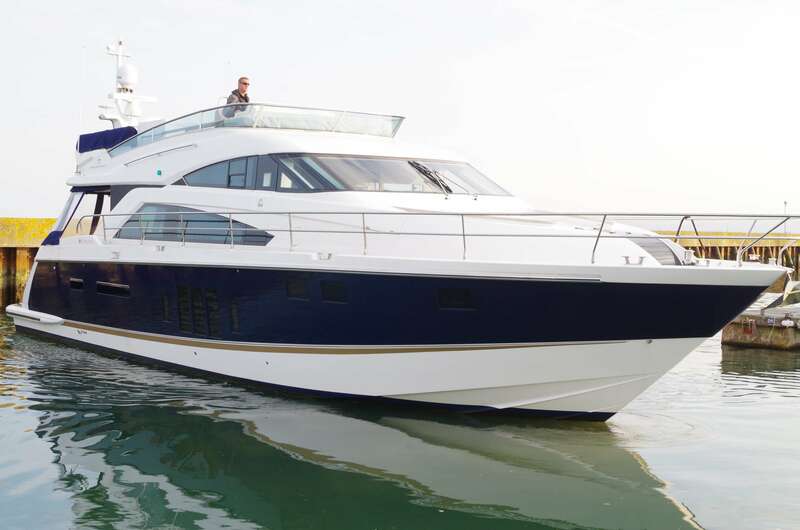 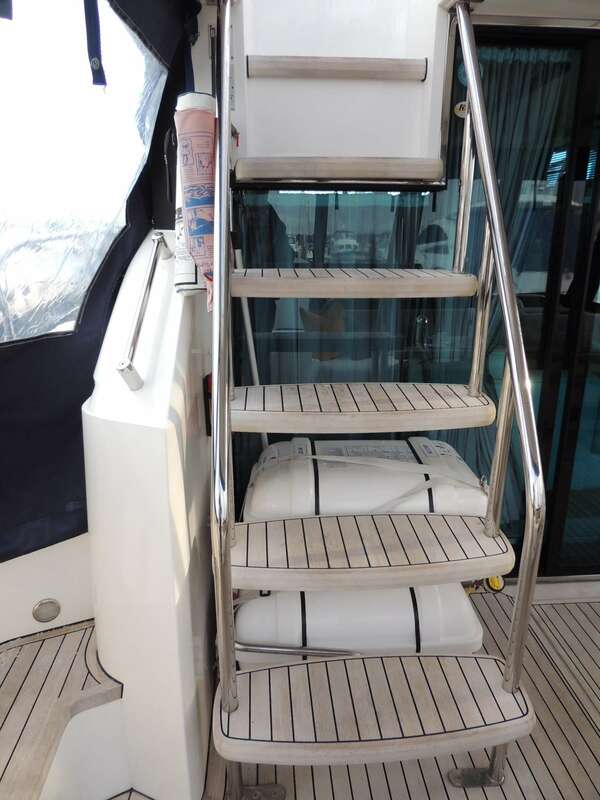 Fitted with Fairline's unique tender launch system which provides for easy launch of tender but with full length hull for great seakeeping. 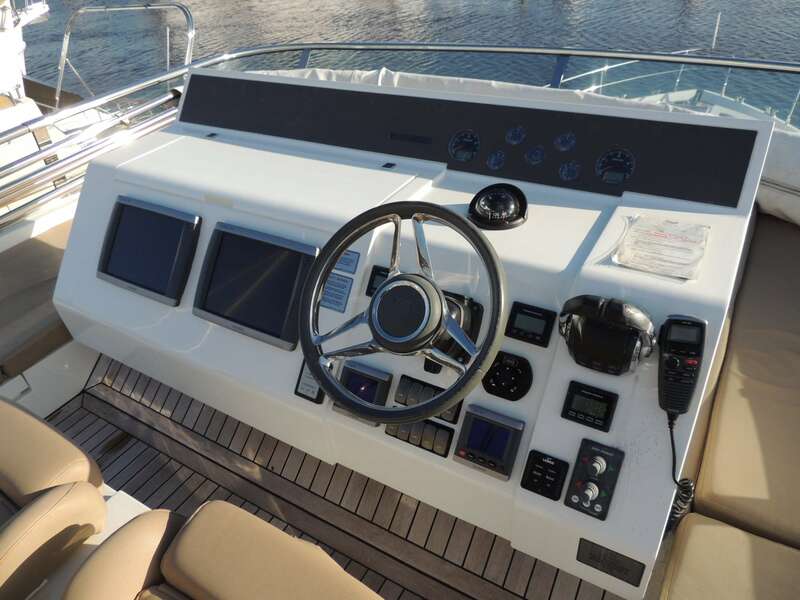 Midnight blue hull with satin walnut timber and ivory leather upgrade. 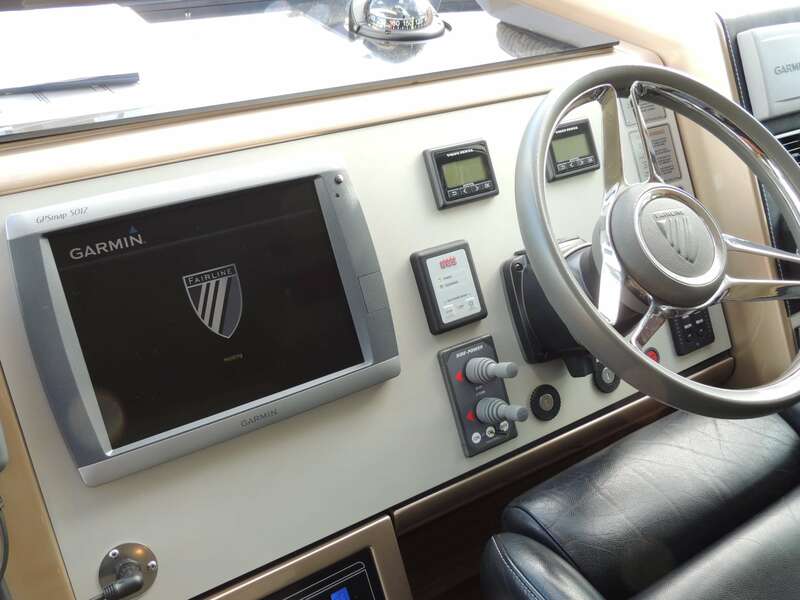 For more information or to schedule the viewing please contact our Denia office on +34 606 396 500 or emial: denia@boats.co.uk 2011 Fairline Squadron 58 fitted with twin Volvo Penta D13-800 Diesel Engines. 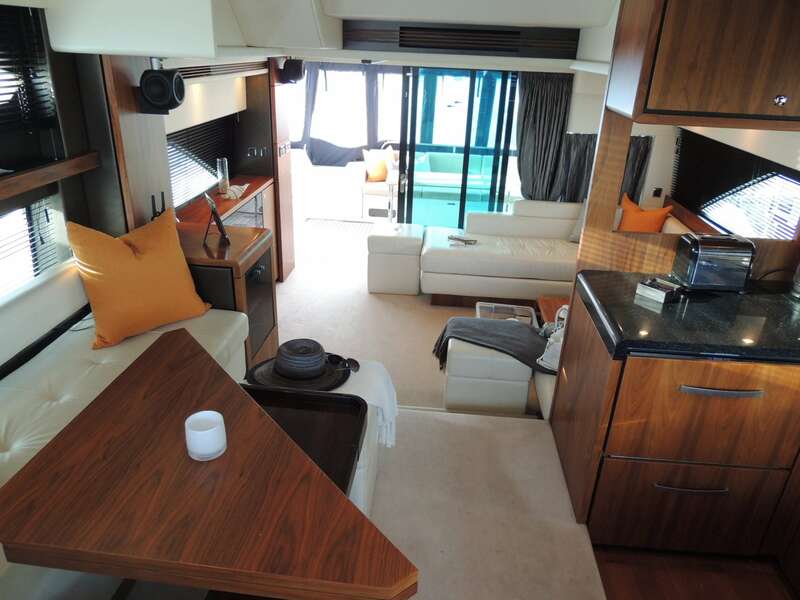 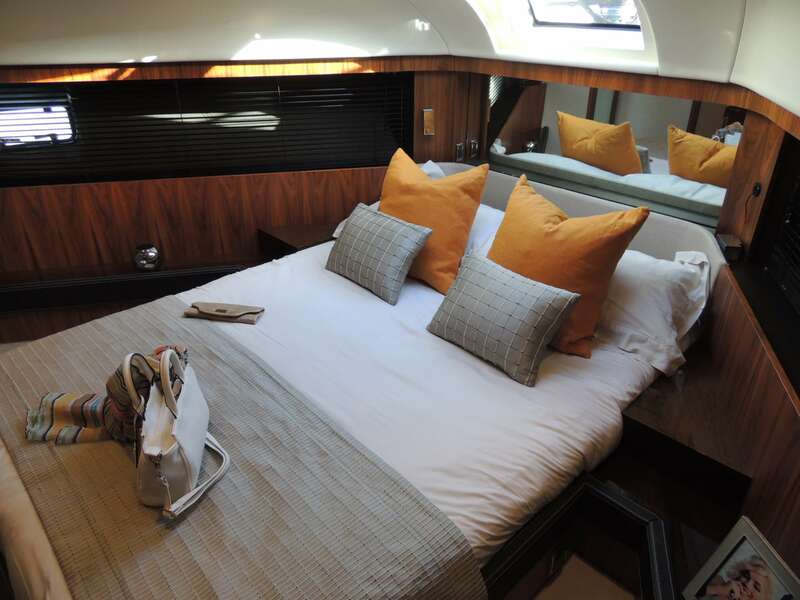 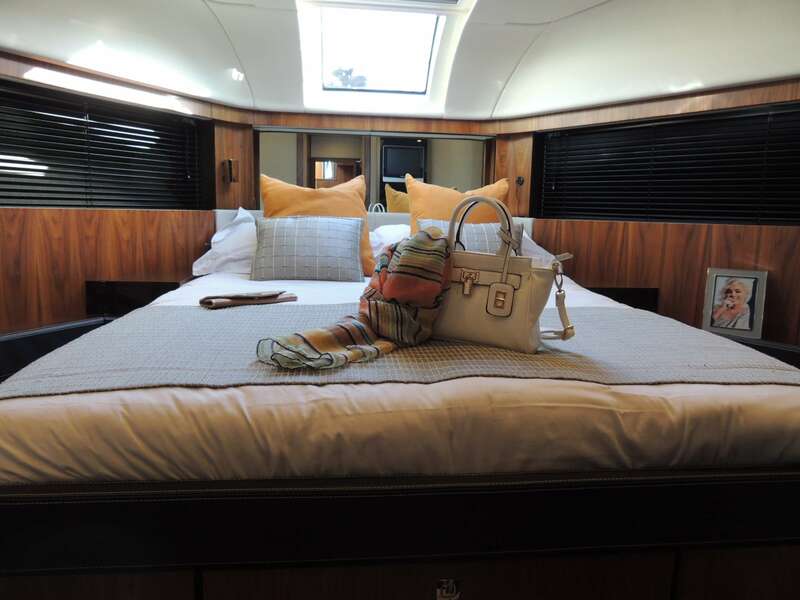 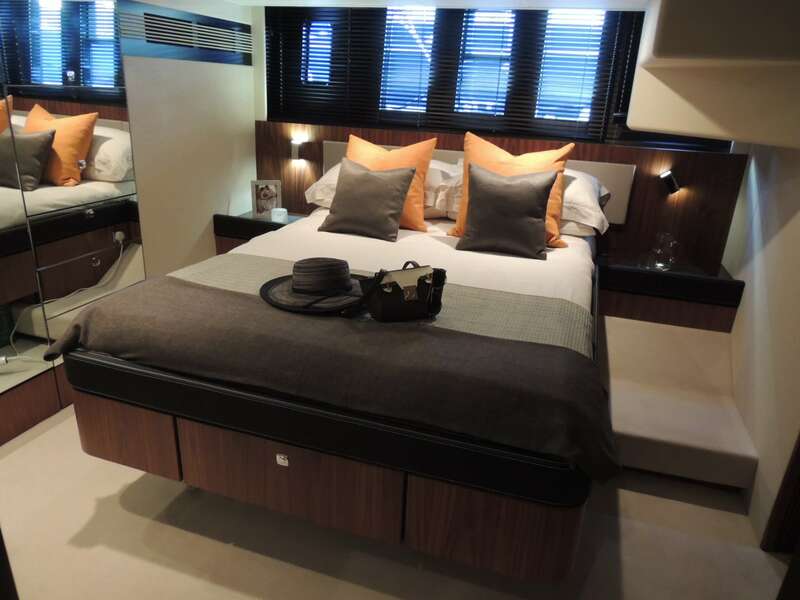 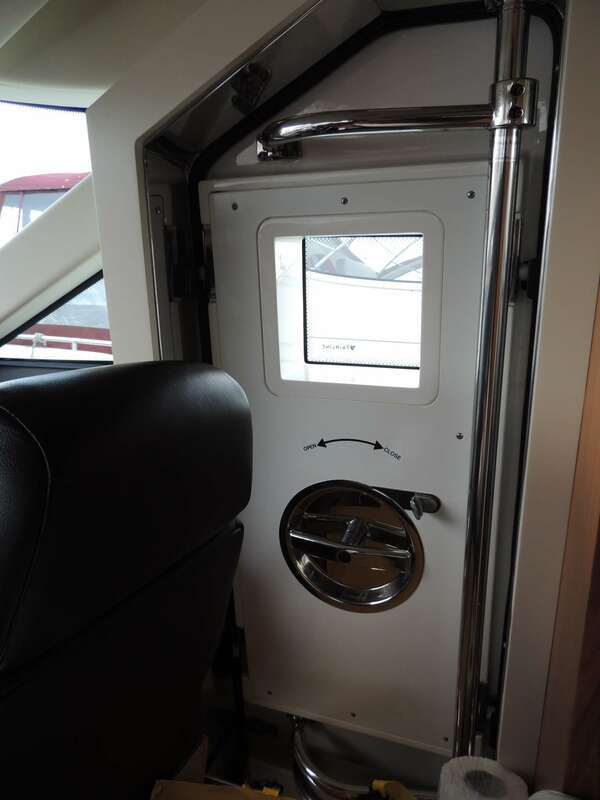 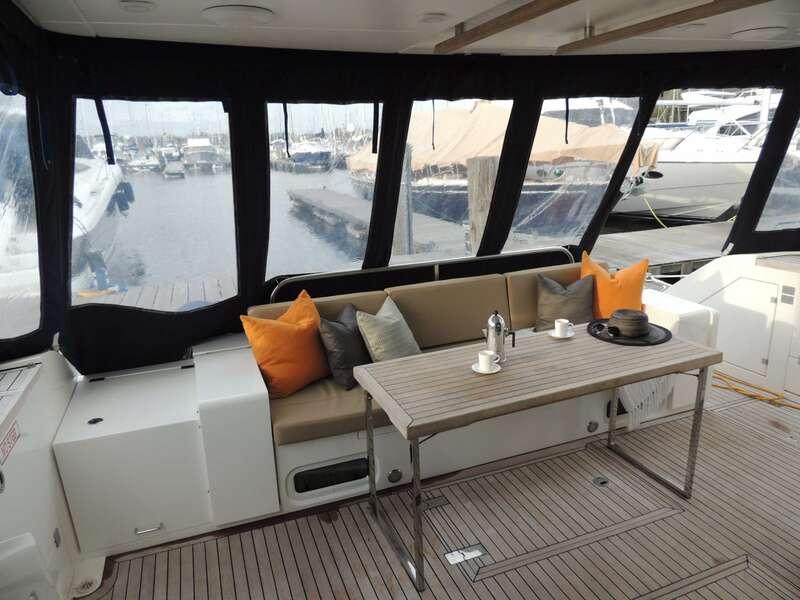 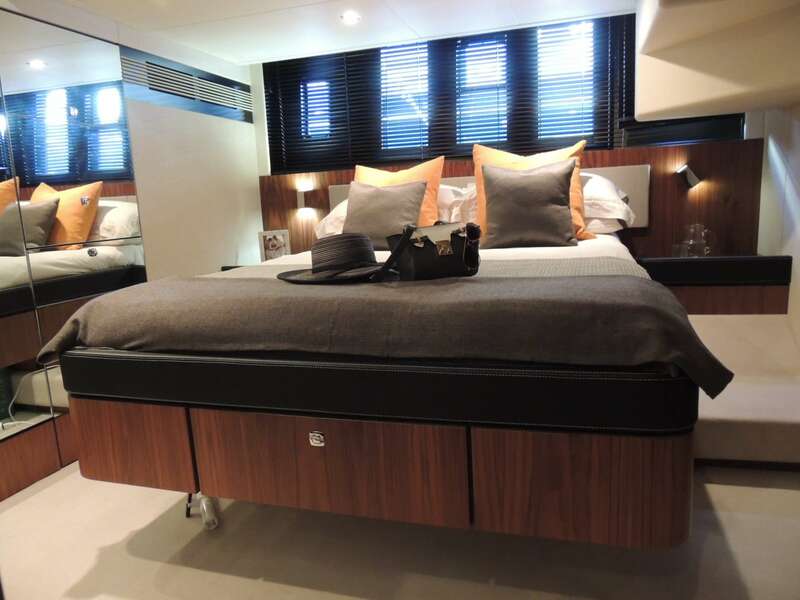 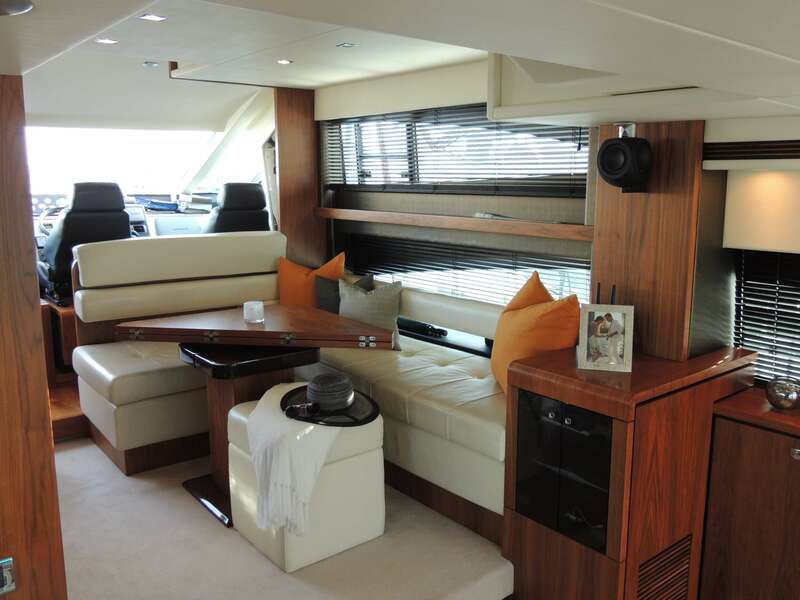 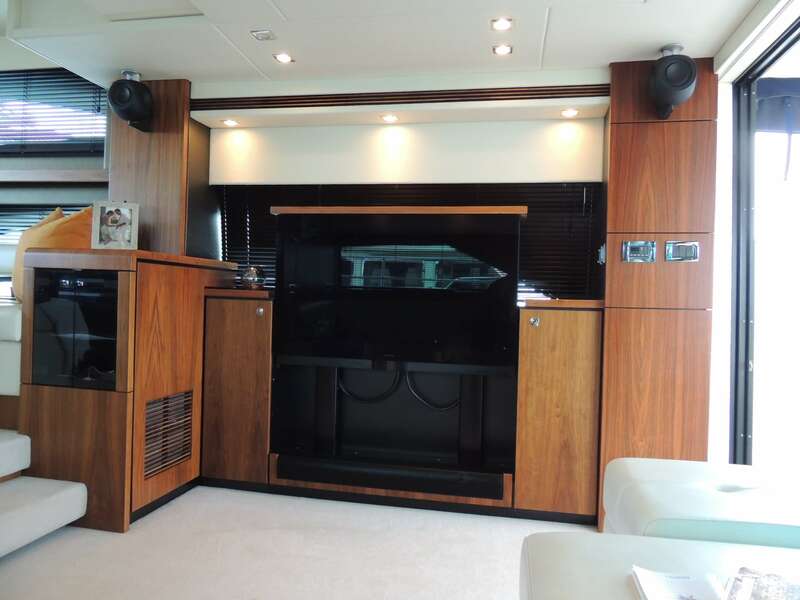 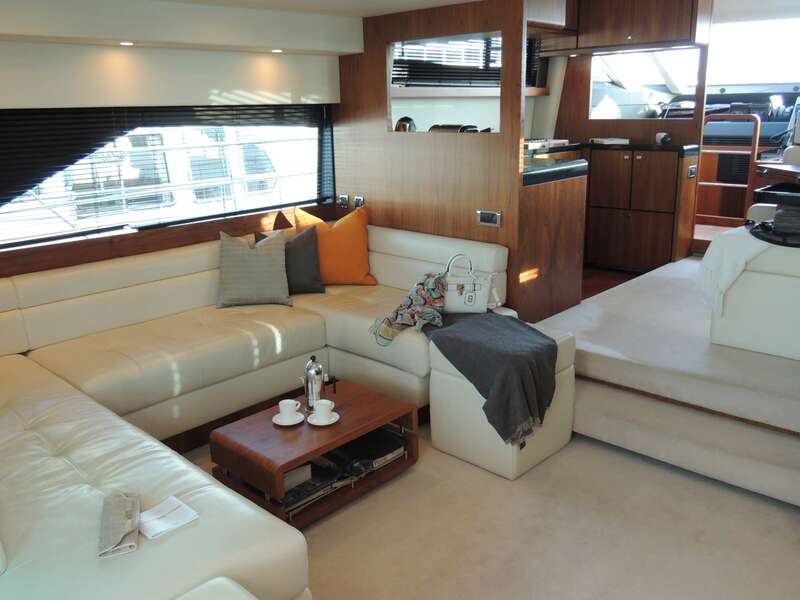 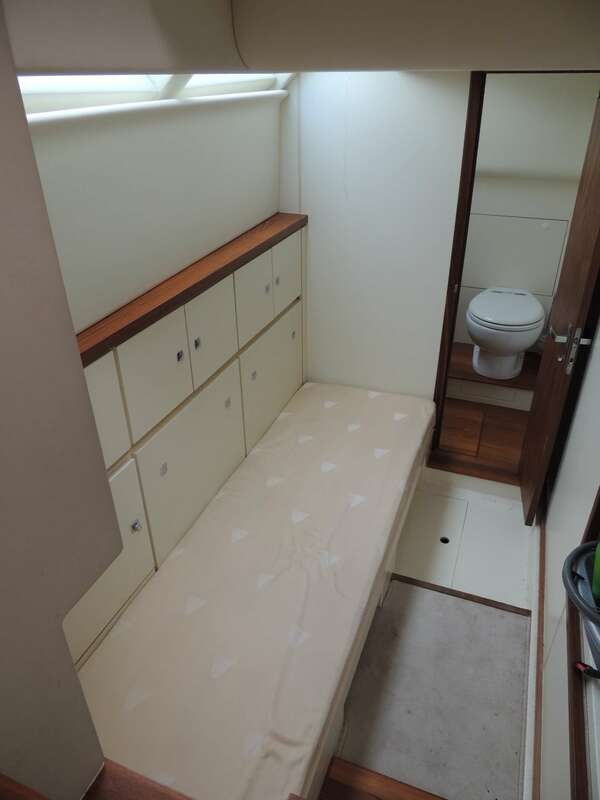 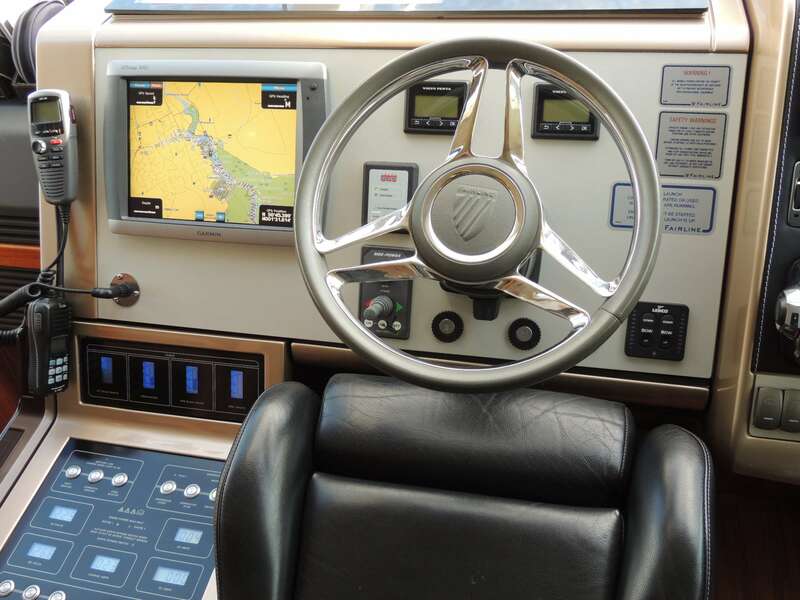 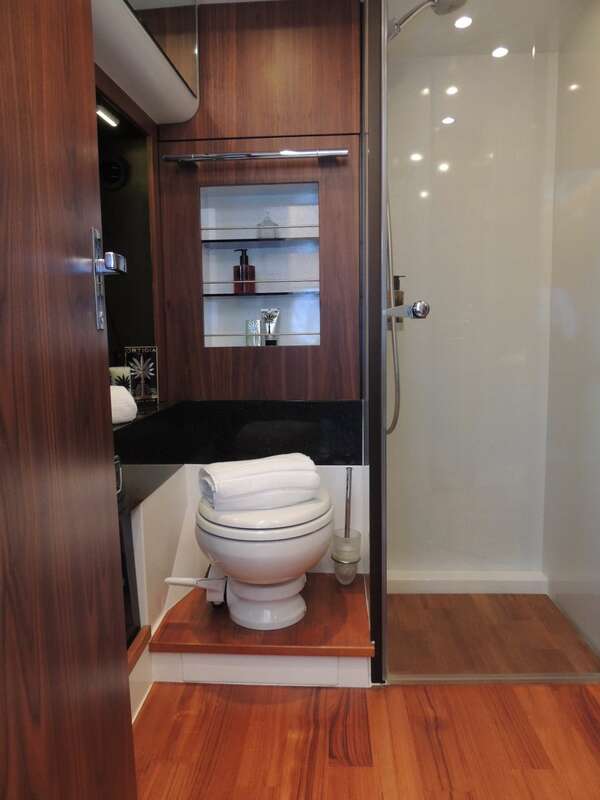 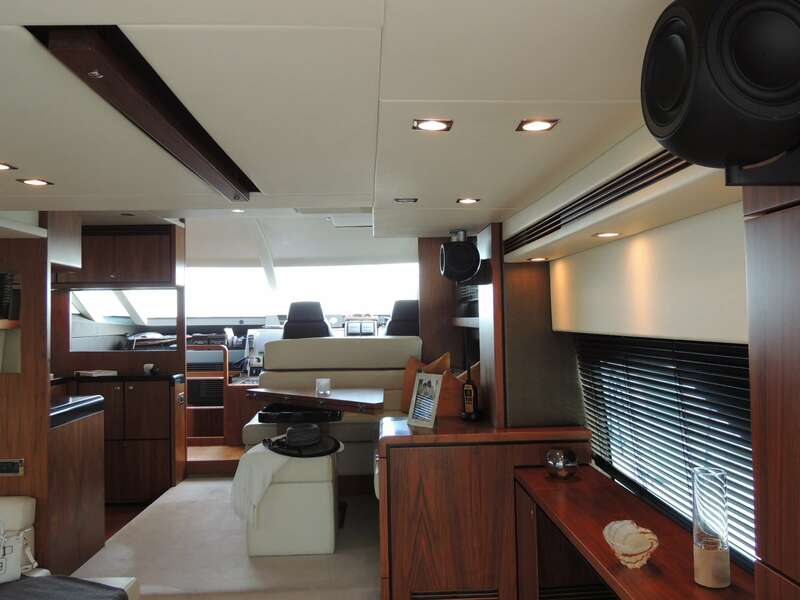 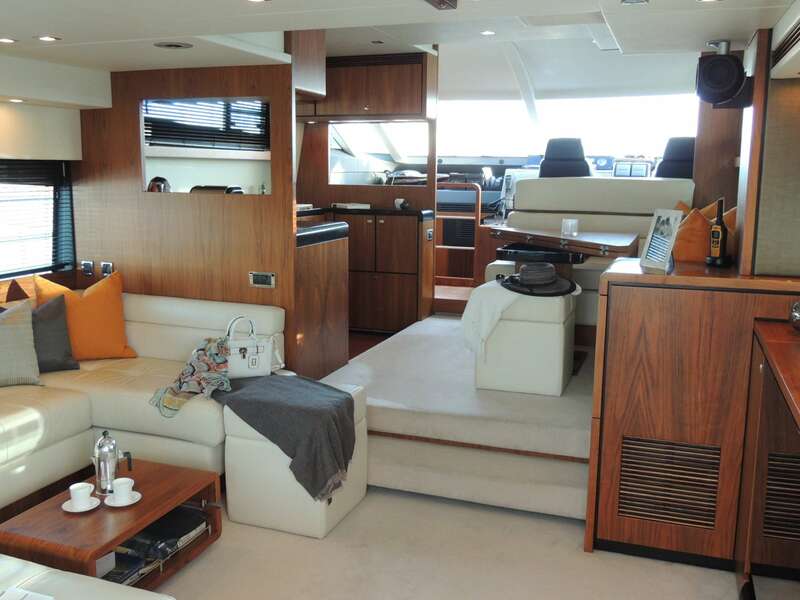 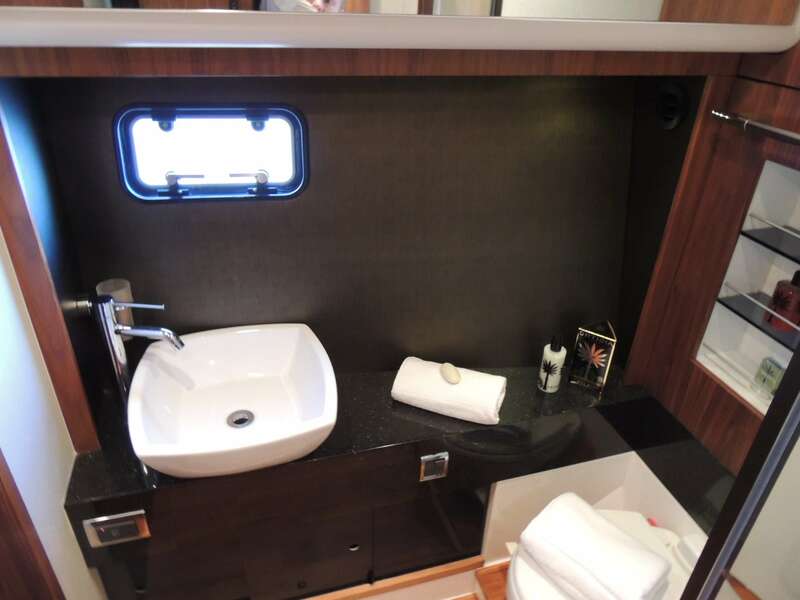 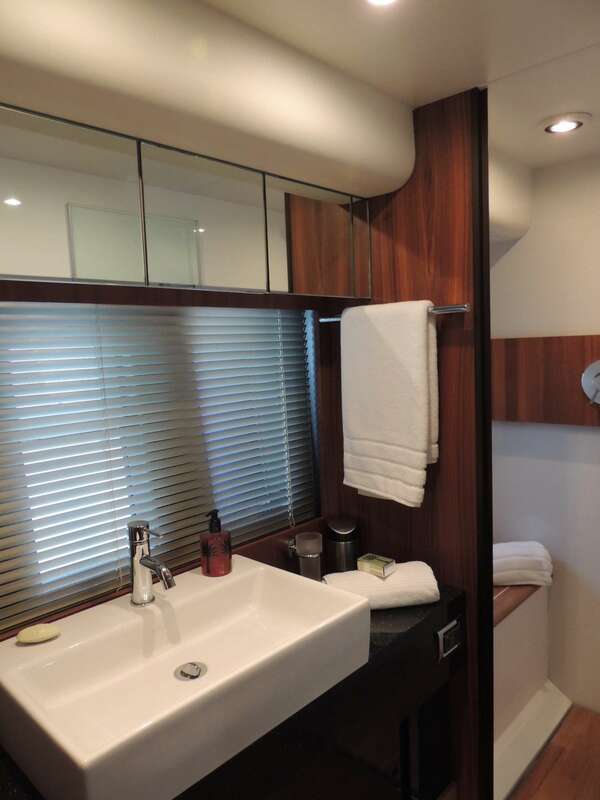 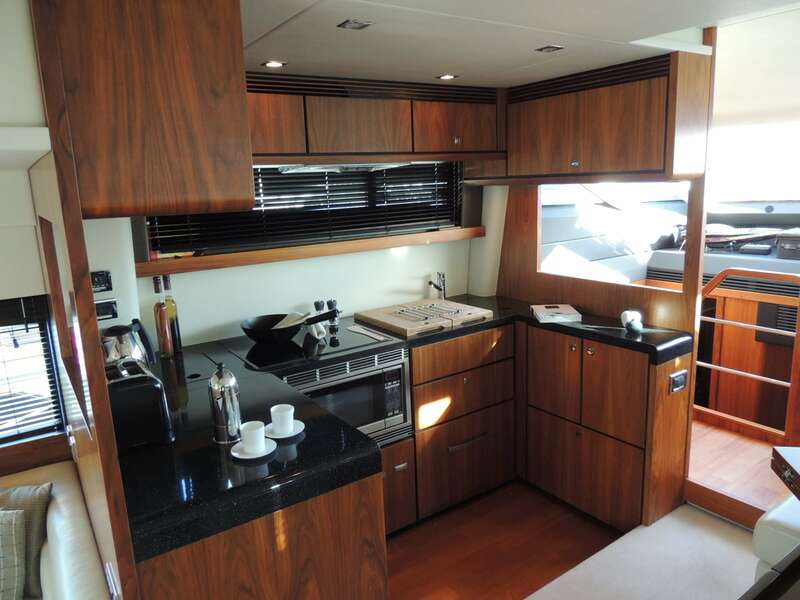 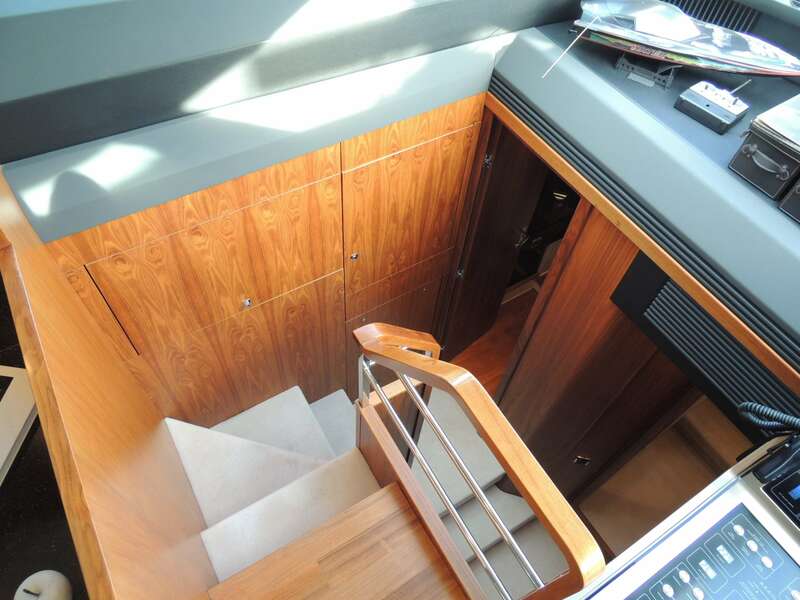 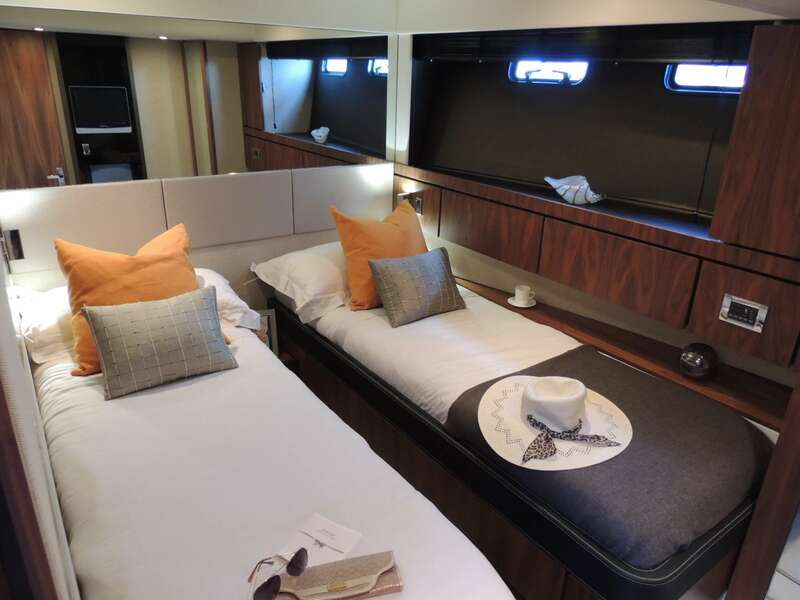 Buy this boat for as little as £6,671.70 per month. 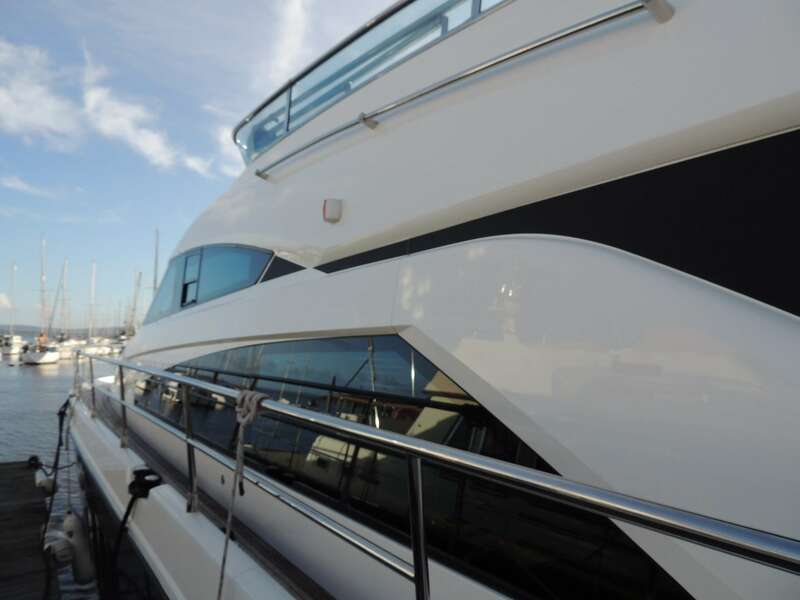 Insure this boat for as little as £4,347.00 per year.